Looking to earn your Bachelors of Science in Nursing? You are in the right place. 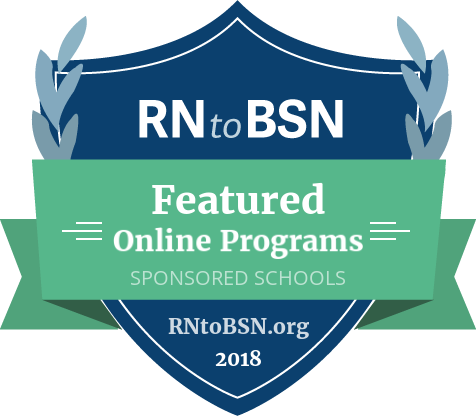 RNtoBSN.org is your source for finding the accredited, online RN to BSN program for you. RN to BSN programs are perfect for working professionals, allowing practicing nurses to work toward a bachelor’s degree. Students learn how to use and manage a variety of healthcare technologies and use best practices in implementing and analyzing health outcomes for patients. Courses typically include Principles of Healthcare Ethics, Healthcare Management and Finance, and Healthcare IT Management. Start your search with accredited, online programs accepting students from around the US. This five-part video series features Caroline Porter Thomas, a registered nurse and author working in Miami, Florida. 2 Is Nursing For Me? 3 How Do I Become a Nurse? 4 What is the NCLEX? 5 What Can a BSN Do For Me? Choosing to become a nurse was the best decision I’ve ever made. Every day brings a fresh challenge, an opportunity to improve and the promise of making a meaningful impact on the lives of my patients. Whether you’re already an RN or you’re considering becoming a nurse, we’ve got the nursing resources you need to start moving forward.